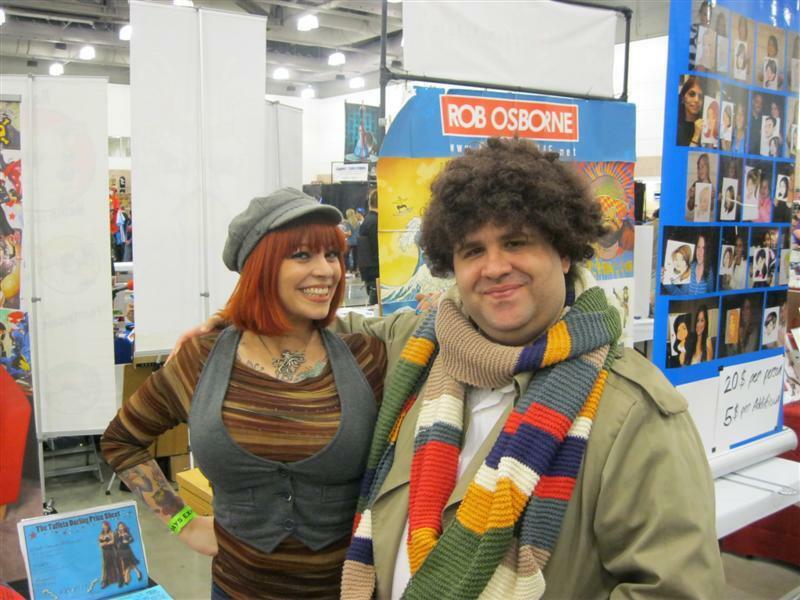 My Geeky Geeky Ways: Dallas Fan Days - Day One, Part One. Dallas Fan Days - Day One, Part One. So far, Dallas Fan Days 2012 is a vast improvement over the chaotic mess that was Dallas ComicCon 2012. 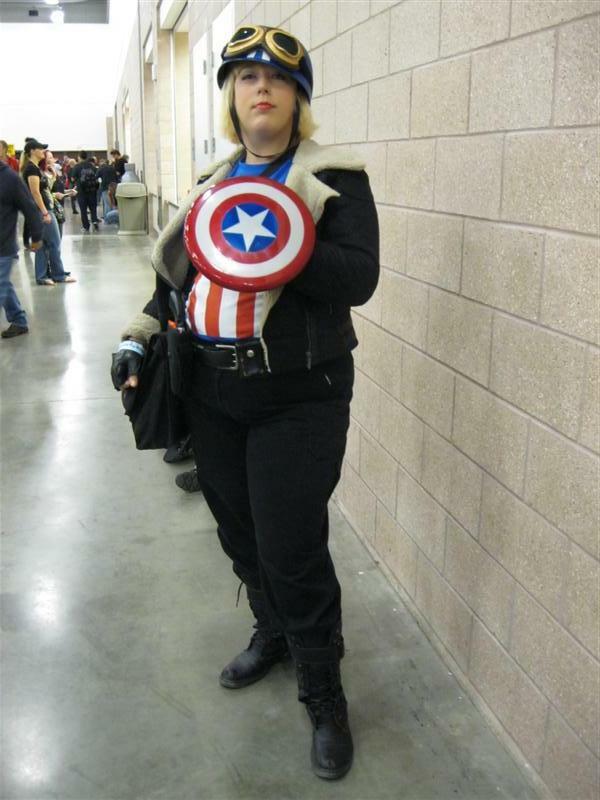 Granted, this was their first time holding a con on a Friday and the odds were the crowds would be much smaller. Still, the staff seem better equipped to handle a large crowd and there are numerous locations selling cold drinks around the convention center this time around. Time will tell tomorrow and prove the effectiveness of the new layout, which should better distribute the crowds waiting for certain guests. That's the hope, at least. For myself, there wasn't much to do today but wander around, pose for pictures and snag a few of my own. 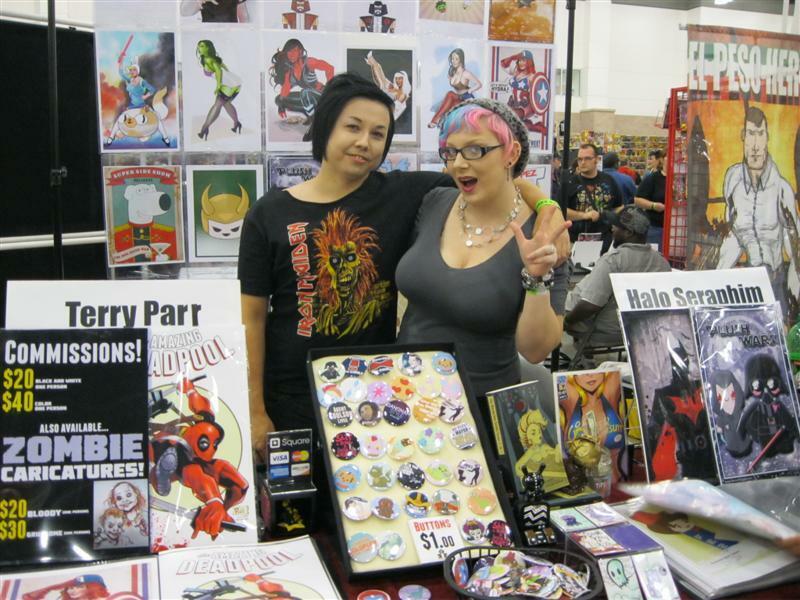 Me and Taffeta Darling of CurvesAndComics.com. In case you couldn't guess, she's the one on the left. 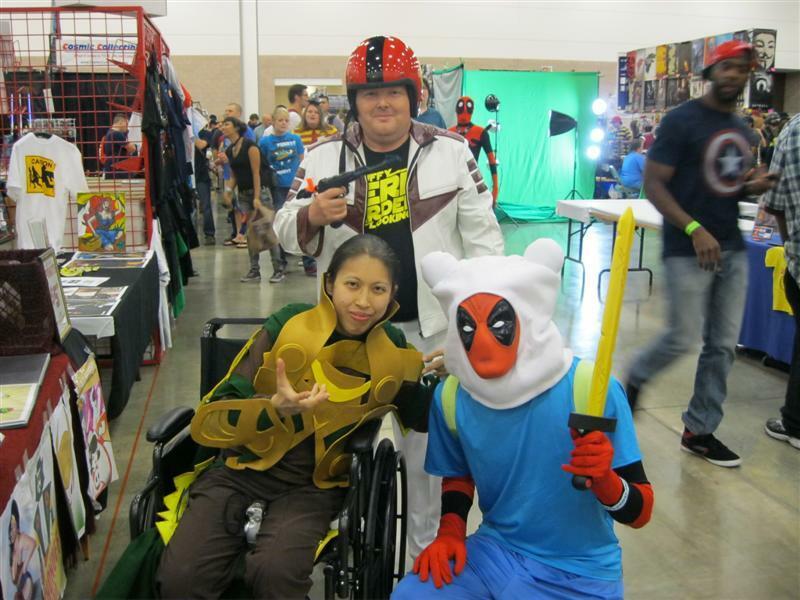 With Finn from Adventure Time and Deadpool being the most popular costumes at cons this year, I suppose it was inevitable someone combine the two. The crossplay Loki is my friend Dianne. 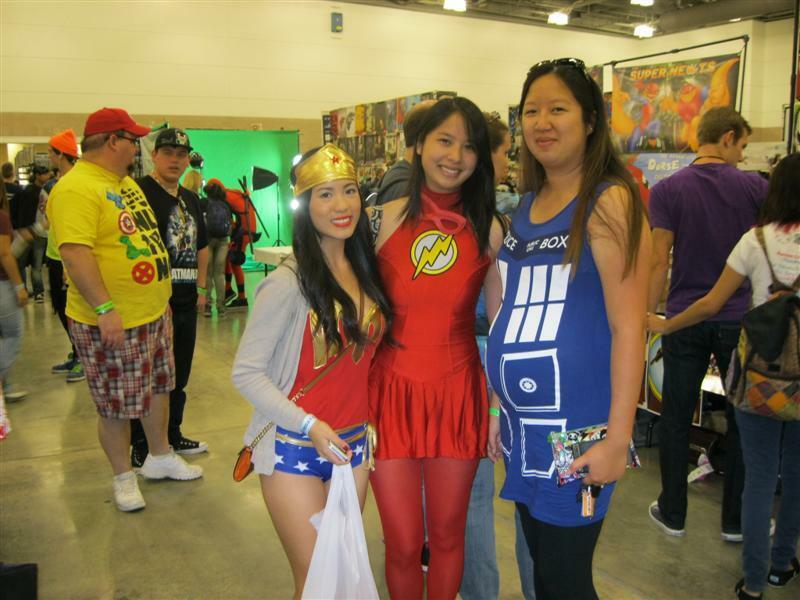 Wonder Woman, Lady Flash & The TARDIS. My friends Terry Parr and Halo Seraphim of Sho'Nuff Studios. 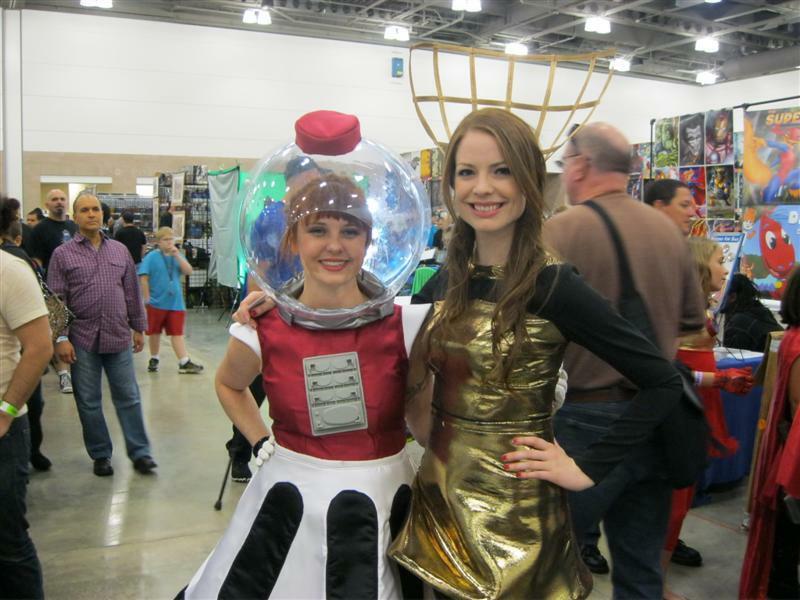 These two ladies are dressed as Tom Servo & Crow T. Robot from Mystery Science Theater 3000. 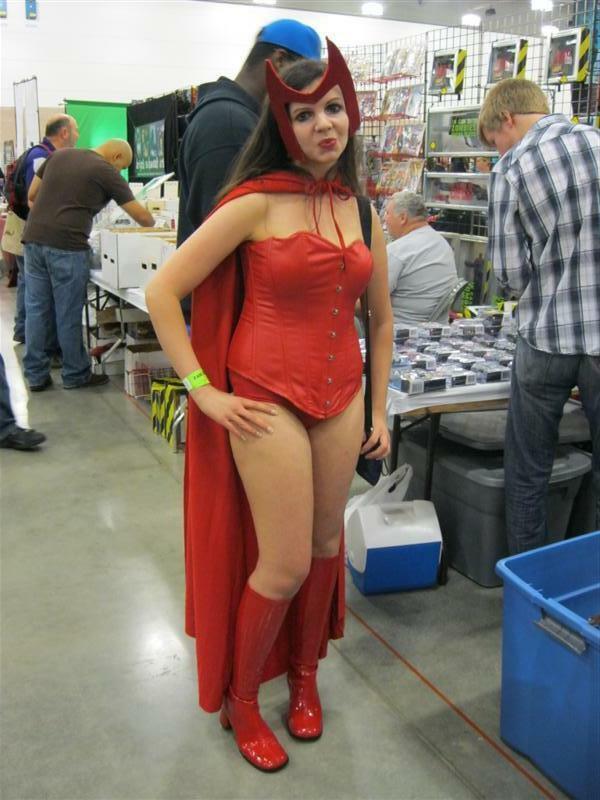 They apparently run a site called Nerd Alert Designs that creates custom dresses and costumes. Check them out. 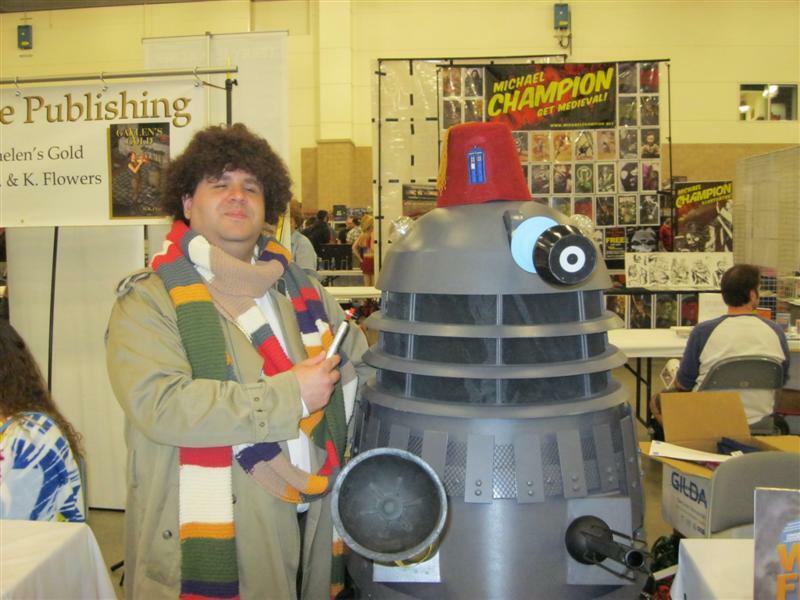 This Dalek tried to make everyone think it was peaceful by wearing a fez. Luckily I was on hand to neutralize it with my trusty Sonic Screwdriver, a yo-yo and a box of Jammy Dodgers. Ha! No, actually this Dalek was camped out at the table of the blokes organizing WhoFest - a Doctor Who con planned for November 2013 in Dallas, just in the for the 50th Anniversary of Doctor Who.